Mum vs Life: "I normally fall asleep next to a dog or one of my kids"
Welcome to the latest installment of our brand new series Mum vs Life. Each week we’ll feature a prominent Aussie mum and take you through her day. 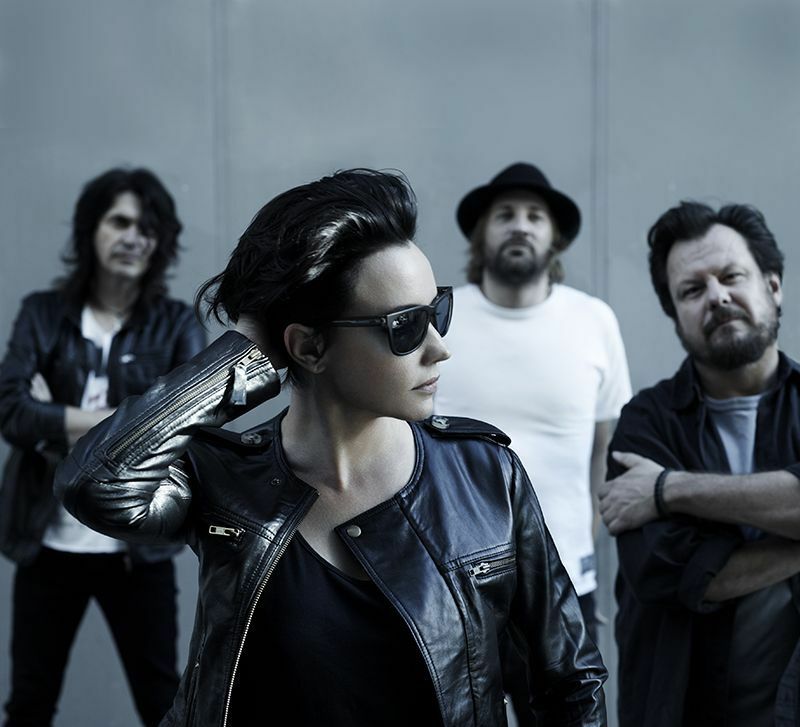 This week we talk to Suze DeMarchi, lead singer of the Baby Animals. WAKE UP: "All mums of boys have woken to the sounds of Minecraft..."
I usually get woken up by the sounds of my son Lorenzo tapping away on a Minecraft game right outside my bedroom door. That or the snoring of my beagle Rocco hogging the bed beside me as usual. The kids usually wander in bleary eyed with an array of excuses as to why they shouldn’t go to school. BREAKFAST: "The kids generally get their own brekky..."
This changes from day to day but my current favourite is a smoothie I make with frozen organic blueberries, powdered protein, half an avocado, yogurt and coconut water. It’s delicious and makes me feel as if at least I’m starting my day on a good note. The kids generally get their own brekky but often I will throw some toast and veggie with avocado on for them. BATH vs SHOWER: "I don&apos;t like wasting too much time getting ready..."
I’m a shower gal because its quick and I don’t like wasting too much time getting ready. Having said that I do like a long soak after a work out or just as a treat from time to time. I usually wait until after the school run as its too crazy getting the kids out the door and into the car and I don’t have a 9 – 5 that I have to be on time for. GETTING DRESSED: "Sometimes I throw on whatever I left on the floor the night before..."
Sometimes I throw on whatever I left on the floor the night before..Is that bad? Usually just jeans and a t shirt with a cashmere sweater ( yes, they sometimes land on the floor) but if I have to work I put more thought into it. My standard uniform , and I love a uniform, is black skinny jeans with boots. I have an array of shirts to choose from and then I always throw on a comfy but stylish jacket. Sometimes leather, sometimes Ralph Lauren Houndstooth. And a scarf, always a scarf! WORK-LIFE BALANCE: "I have a cleaner who comes in once a week..."
If I’m on tour my work day stretches into night and morning and afternoon sound checks and flights at odd hours and days stretch into weeks. It’s a whole different world and there’s nothing routine about it. I have a cleaner who comes in once a week. It’s a luxury but I would spend my last penny for someone that helps me keep the house in order. That and upgrades!! I always do some kind of work out ( always is flexible, but definitely three days a week)! Pilates and yoga and running for an hour each time. I have a great trainer called Mark Mitchell who is also a physio so he can fix my war wounds after a tour/ show. When we have rehearsal days I work from 11 am until about 5pm and when I have writing days, well they can go all day and night. Depends on the song! TOURING vs KIDS: "These are the times that are the most challenging for me as a mum..."
Touring and kids don’t mix. These are the times that are the most challenging for me as a mum as I do have to be away a lot and I’m single now so I depend on the generosity of my very good group of friends, who happen to love my kids. I have had to hire someone to do school pick ups and meals from time to time but I really prefer not to have someone on a full time basis as we like having the house to ourselves. So we can go nuts and do our silly dancing etc.!!! 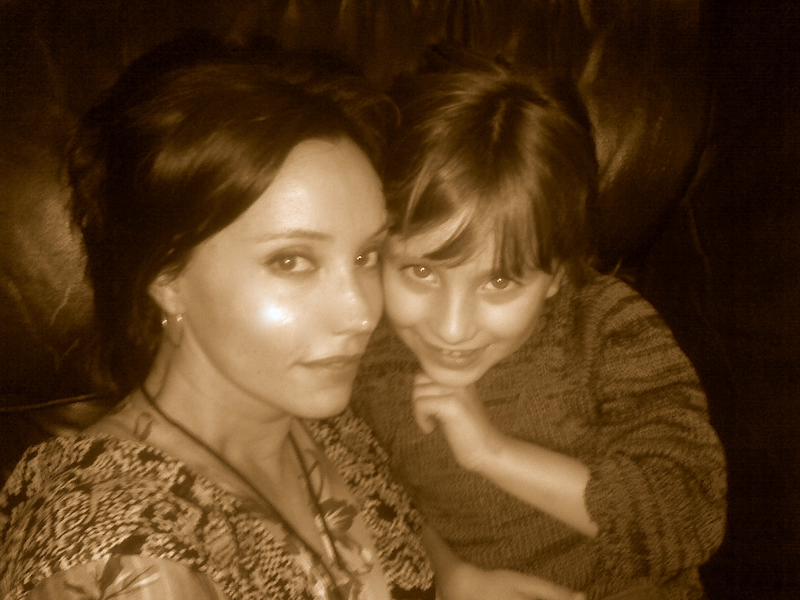 Truth be told, I would hang with my kids all the time if I could because they are so entertaining and such good value. I love them A LOT. I really love to work though. It’s the thing I missed the most when I was living in the states. My work makes me happy and whole and a better person to be around. The kids come to shows occasionally but it freaks them out a bit I think. My band ain&apos;t no folk band! DINNER: "I like to eat healthy, old school food..."
I like cooking. I have a few really good standards that I always go to. A killer Portuguese soup, Spaghetti and yummy Taco’s, Roast Chicken with vegies and always gravy. I also do a lot of salads. I don’t like to spend hours in the evening cooking but I like to eat healthy, old school food. We always eat together and sometimes, I repeat, sometimes, the kids clean up for me. We like to do movie marathons that take a whole week to finish. Like a Lord of The Rings marathon or Harry Potter ..Movies rather than TV. EVENINGS: "I drink a lot of tea in the evening..."
I drink a lot of tea in the evening. In fact, I drink a lot of tea all day but I love a pre-bedtime cuppa. Once the kids are asleep I catch up on any emails or work that needs to be done. I always wash my face and I love Argan Oil for moisture. Josie Maran has a great one that’s organic. I read a book from my iPhone before I can get sleepy enough to nod off. Right now I am reading Butch Walkers Drinking with Strangers but I flit back and forth between books all the time. BEDTIME: "Preferably not a dog or a kid for too much longer..."
Sleeping in between soft linen sheets is a luxury I cant do without. I like feathers in quilts and pillows and the occasional warm body to fall asleep next to. Preferably not a dog or a kid for too much longer! The Baby Animals latest album &apos;This Is Not The End&apos; is out now. Their national &apos;Feed The Birds&apos; Tour begins on the 12th October - 9th November.